If you are into arrow hunting, then you probably know no arrow is made the same, thus special attention must be paid when choosing arrows for different hunting purposes. But, on the market there’s a lot of choice, and it might seem impossible to choose the best arrows for hunting at first, on your own. Worry not, though, cos we’re here to help you out! 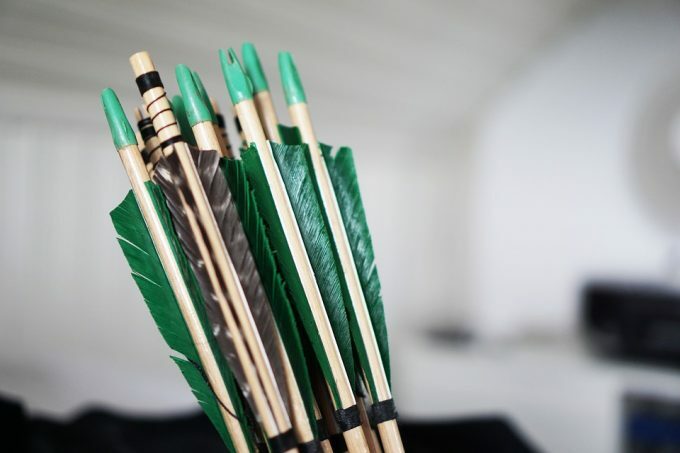 In this article, you will find some specific features you have to look for when making a selection on which arrow to buy to avoid making the wrong decisions. The content in the table and the entire article will help you to know what to consider. The product reviews are elaborate, and nothing is assumed. The first thing you’ll need to do is to calculate the draw length of your bow. That’s pretty easy to do: stand tall with your hands wide apart and parallel to the ground, and then ask someone to measure the distance between the tips of your two middle fingers. Get that in inches, divided by 2.5 and you obtain your draw length. Let’s say your friend measures 80 inches. Divide that by 2.5, and you get 32 inches. Now, the most appropriate arrow length should not go over 33 inches. So simply add another inch to get the maximum length of your arrows. In the second case, you obviously need heavier arrows that will pierce through the flesh and muscles of your game, so 6-8 grain/ pound of draw weight should do the trick. Weight is also measured in GPI, which stands for grain per inch. For instance, a crossbow with a draw weight of 150 lbs requires arrows that weigh between 900 and 1200 grain. That’s the total weight, including all the arrow’s parts. Of course, lighter arrows do have the advantages of higher speed and straight trajectory, but they don’t have the same force to kill the prey. Shaft diameter varies between various brands of arrows. Narrow arrows have little resistance to air when they are in motion. The same is noted when the arrow pierces the skin of the animal you are hunting. It is likely to go deeper, and this increases the chances of killing the animal. Diameter and weight of the arrow are two interrelated factors; in most of the cases, wide arrows are heavier than the narrow ones. 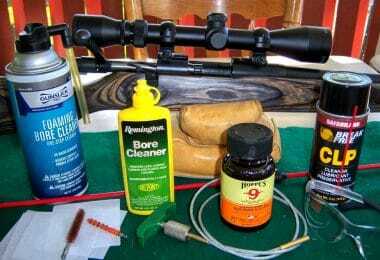 The element is most significant if you use Broadhead arrows. Carbon composite – These are the most popular arrow on the market. They add a lot of force on impact with your game and weigh just enough to get the job done. They are also durable and resistant. Majorities of the arrowheads in the market are made from metal or stone. These offer the strength, durability, and ability of the arrow to penetrate deep at impact. If you buy your arrowhead separately, ensure you get the ones that are effective for hunting to avoid a situation where you are wounding the animal, but not killing it and thus making it suffer for an unjustified cause. This is the part of the arrow you’ll find at its base, and its purpose is to make the arrow fly in a straight trajectory, and for as far as possible. The best fletches are made from feathers, synthetic materials as well as plastic. These materials are light and do not add unnecessary weight to the arrow. Probably the most crucial factor that affects the performance of your arrows is their spine. As the actual name says it, the spine sort of represents the backbone of your arrow and just like a human spine you want it to be strong enough, but at the same time flexible enough. The reason is that the arrows don’t simply remain straight when they are in flight, but they bend and oscillate depending on air friction, currents, and momentum. The spine is influenced by 3-main factors: shaft material, shaft length, and tip weight. The static spine: This shows how much the arrow can bend when you attach a weight to its middle part and let it hang down. It should remain constant forever. The dynamic spine: This depends on the quality of the bow. The more force or draw weight the bow has, the bigger the momentum it adds to the arrow. 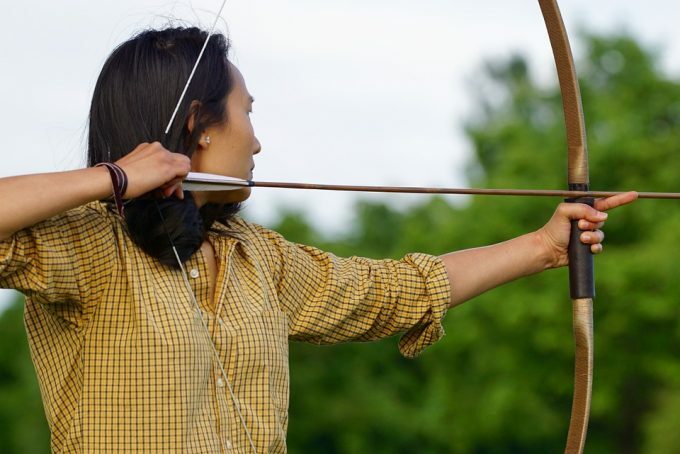 As such, bows with bigger draw weight will make the arrows bend more, while bows with a lower draw weight will allow the arrows to remain stiff. The shaft of the arrow must match your bow. 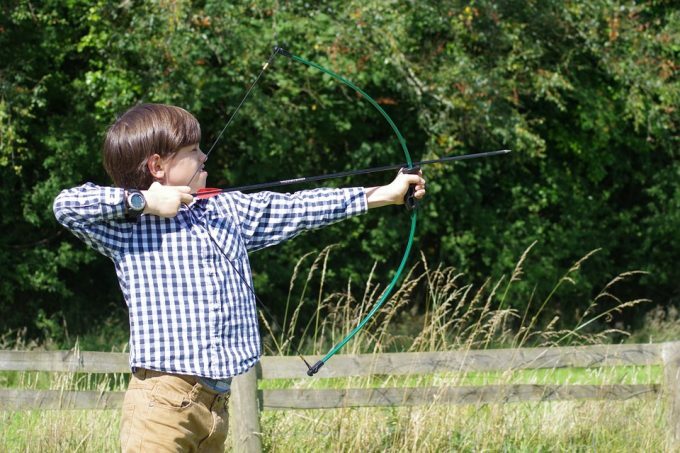 Shooting short arrows is risky since they can slip off and move in the wrong direction. Also, a long bow will add unnecessary weight and also make the arrow’s spine to be weak. 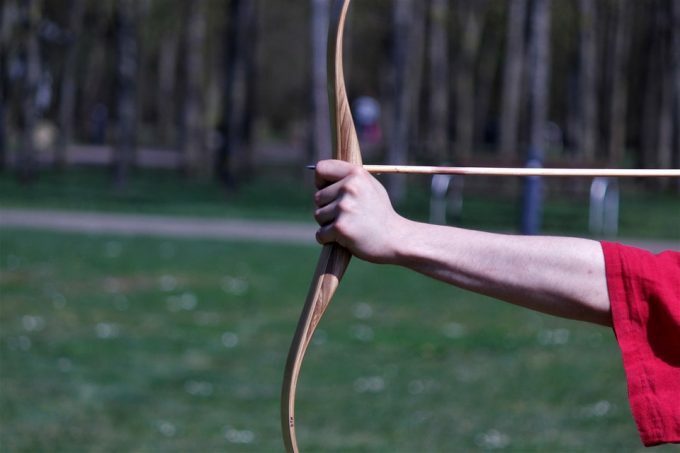 There are various arrow tables available from the sellers that help you to know exactly what size of the arrow you are supposed to shoot from a certain bow. The tip is the heaviest part of the arrow; therefore the force it produces to resist the momentum depends on its size: the heavier the tip, the bigger the resistance. And a bigger resistance determines a bigger wobbling motion because it allows for more compression to take place. So if the tip of your arrow is a heavier material that will make your arrow more flexible when flying. That being said, the only way to determine what spine works for you is probably to practice shooting and see what you like. 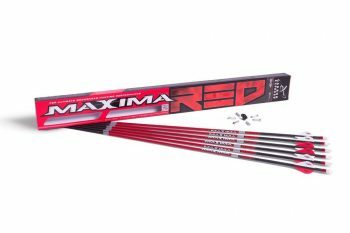 Description: The Carbon Express Maxima Red Arrows are the optimal choice for a majority of hunters, this shows the trust majority of the people have on them. First of all, they are manufactured from a very top shelf carbon material. That accounts for their strength, durability, and speed, but it explains their dynamic spine too. As such, this carbon compound makes them fly better and shoot their target more effectively. With a spine of 0.342 in, you can make sure that these Maxima arrows are not too stiff, nor do they bend too much, of course depending on the bow you have. In fact, they have passed a lot of rigorous testing like being laser checked for straightness to 0.0001 inches. The 6-pack of red and black arrows you’ll get are organized depending on their weight and size, and you won’t see too many variations between the arrows in regards to these characteristics. That makes them very dependable and effective. And if you need additional reasons to consider these arrows, think of the blazer vanes they’re flushed that helps with speed and flexibility, as do the launchpad precision nocks they come with. And since the arrows have a 9.07 GPI, that makes them more appropriate for hunting bigger animals as a bigger weight is sure to add to the force of the impact. Due to their weight and flexing capabilities, they can deliver unparalleled broadhead accuracy. You have to cut them to appropriate size or have a pro shop do it for you; the inserts are also not glued in place. Related: Since the purchases kit comes with the inserts separated from the shaft; you might require buying the Gold Tip Grip Arrow Adhesive Glue. It bonds in seconds, and it is waterproof. It cannot be compared to normal superglue regarding performance; hardly does it brittle when it dries up. Description: The Gold Tip XT Hunter 5575 Arrows are the better option for people who are always hunting. They are among the sturdiest and most durable in the market. Besides, Gold Tip is one of the most reliable brands in the field, and the Gold Tip XT Hunter arrow is its most renowned shaft. That’s because it’s a very effective and exact tool, especially if you’re out hunting deer for an entire season. With a straightness tolerance of +/- .003 in, a weight tolerance of +/- 2 grains, and a recommended point weight of 85-100 grain, these arrows fly fast; they’re sturdy and hit their target without a miss. And that’s no wonder with an 8.2 GPI that makes them pierce deep into the prey. The 0.400-in spine makes them bend just enough to reach their destination fast and accurate. Their flexibility and speed, are also courtesy of their appropriate diameter: 0.295 in on the outside, and 0.246 in on the inside. That will help you reach a target as far as 80 yards away. In regards to their durability, the carbon manufacturing makes them hold up perfectly even if you accidentally shoot one on the ground. Since you can buy these arrows already fletched, the only thing you need to do is cut them to the desired length and then glue in the inserts they come with. 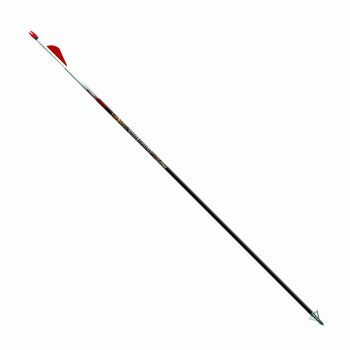 The blazer arrow vanes are about 2-in long, and if they start to wear you can easily replace them. The arrows are uncut, and the inserts are also not glued to the shaft; thus there is a probability of incurring more cost to make the arrows ready to use. Related: It is an undeniable fact that you will require something to carry your arrows. 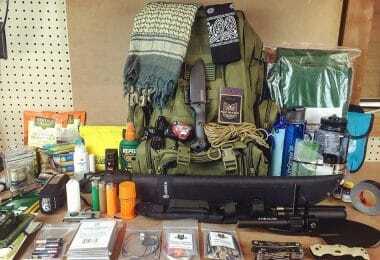 XTACER Quiver Arrow Holder is a good option since it has both a belt as well as backpack version. It can easily hold up to 24 arrows, and it has side pouches for other accessories that may be necessary for a successful hunt. It costs approximately $26 and is suited for both right and left-handed people. Description: ICS BowHunter is renowned for having patented arrows made from carbon, and therefore Beman ICS Bowhunter Arrows come with the promise of innovation and performance, apart from strength and durability. The Beman carbon is likewise pretty lightweight, so the arrows will fly very fast towards their target, meeting a desired optimum speed and durability. You’ll also be able to shoot very precisely thanks to the direct fit Super Nock that’s installed on these arrows, but also thanks to the included CB inserts and the 2 in XVP vanes. Since the Beman arrows have an 8.4 GPI, you can make sure that they’re good enough for bow hunting different types of animals, as they have enough force required to hit them. And they fly in a straight line too, which is kind of a bonus. Moreover, the packaging is good, their overall weight is just right, and their hit is hard. The 32-inch length can be adjusted according to your preferences with a cutting disk. The Easton inserts you’ll find in the bag can easily be attached once the arrows are cut, and the nocks are yellow – which means they’re easy to spot. Related: If you want to overcome a majority of the challenges associated with bringing down large games as well as medium-sized ones, it is advisable to buy broadheads for your shafts. One of the best broadheads that fit in the majority of the arrows is the Huntingdoor 12pack 3 Fixed Blade Archery Heads. 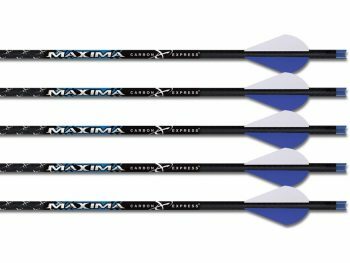 Description: The Carbon Express Maxima Blue Arrows are much more appropriate for hunting small game. We’re not saying you can’t shoot at bigger animals too, but the 6.4 GPI makes them better for flying fast rather than piercing very deep on impact. So if you’re hunting targets that are on the move, these arrows are perfect. As such, their speed is achieved thanks to a smaller weight, 0.284 in diameter, and a 0.508 in spine, which makes them very flexible. But more than that, the dual spine weight forward specification means they have 2-spines. That’s because they are manufactured from two different carbon materials through a patented fusion process. The carbon used is also a good quality, sturdy material, less heavy than aluminum for instance. The arrows come in a 6-pack and they’re organized by weight and spine, giving you less trouble in regards to consistency. They have a black finish which makes them look very smart too, and their straightness has been checked with a laser for up to 0.0001 inches. Good for shooting a running or a moving target. 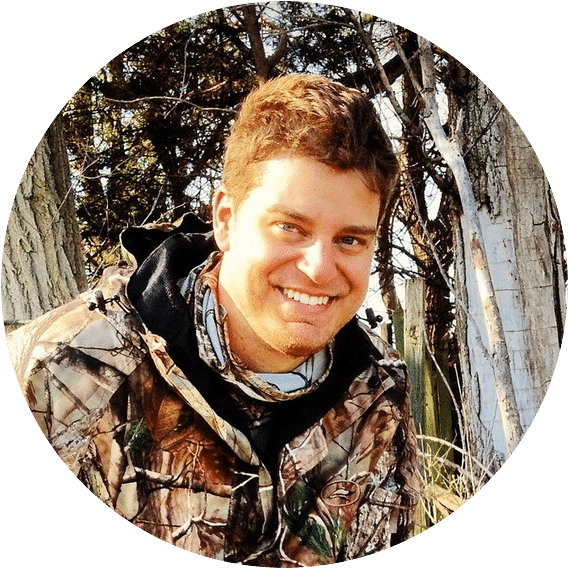 Related: Hunting is not always in the open fields, you might find yourself following your targets in the grass or an area with dense vegetation, the broadhead arrow might not be able to penetrate the thicket well. A better option is the Carbon Express Cross Bolt Field Point that is made from steel. It has adjustable weight controlled by the collar nock used. 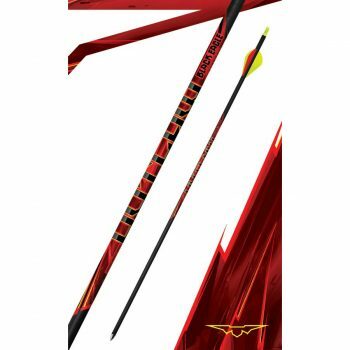 Description: Although these arrows have a 7.7 grains shaft weight that makes them very good for hunting. That makes Easton Bloodline Arrow more appropriate for flying at higher speeds rather than penetrating very deep through the flesh of the animal you want to hit. That’s why they’re better for hunting small game like rabbits that may even be on the run. With a 0.400 spine span, a + /- 0.003 straightness, and a +/- 0.2 weight tolerance, it can further be understood why the Easton arrows are pretty flexible and fast. That accounts for their effectiveness and speed. But the carbon shafts explains their strength and durability, many happy customers stating that they were able to shoot repeatedly through hundreds of straw and foam targets, as well as through pine and steel target frames. And they couldn’t see any wear on the shaft. The high velocity and the perfect trajectory are also due to the installed blazer vanes that are easy to see since they’re a bright shade of red. Related: If you are a constant hunter or target shooter, you definitely know how disappointing it is to go on a hunting mission only for the arrow launch pad nocks to break. Without a backup, it will be a great set back on your mission since your shots will be limited. To overcome all these inconveniences consider buying a Carbon Express LaunchPad Cross Bolt Lighted Nock. 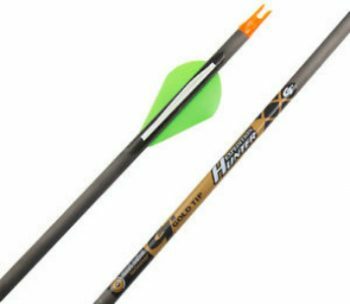 Description: Another high-quality item, the Carbon Express PileDriver Arrows, are exceptional when it comes to shooting very large game. That’s because they have an 11.3 GPI, which is a pretty heavy weight. That will propel the arrow with adequate force to deliver a strong pressure at impact, and penetrate solidly through the flesh of your game. With a 0.308 in diameter, they’re big enough to imprint the needed force, and their 0.345-inch spine gives them just the right amount of flexibility. So velocity is not the strongest advantage of these arrows, but strength is. Besides, the exclusive technology called “Built-in weight forward” will further explain their ability to reach high-speed thanks to the kinetic energy released by the very accurate broadhead. 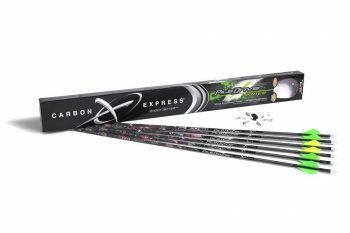 The 2 in assault vanes they’re fletched with, the launch pad precision nocks and the bulldog nock collars they come with are already a trademark for the Carbon Express brand, as well as the high-quality carbon material the shaft is made from. Related: An arrow is a constituent of various parts, and one of the most important parts is the insert. 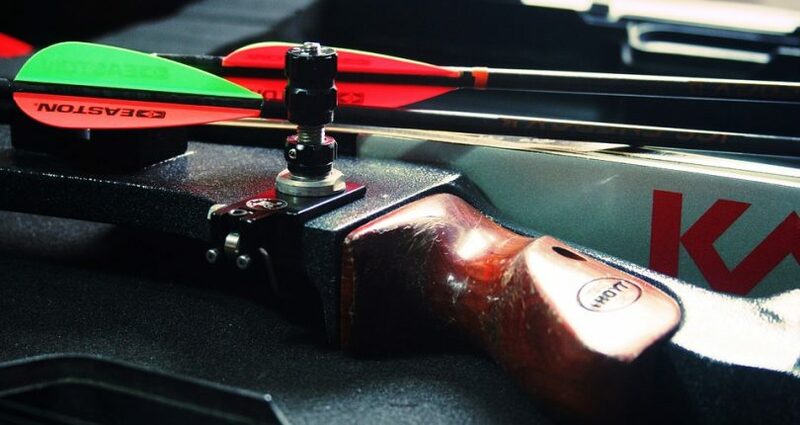 It ensures that the head is tightly held on the arrow even after a shot as well as ensure that the head does not stick in the target. There are various inserts to fit different shafts, and you have to check your arrows for specifications and check for the compatibility. However, Carbon Express Inserts fit in most of the express carbon arrows though it is not universal. 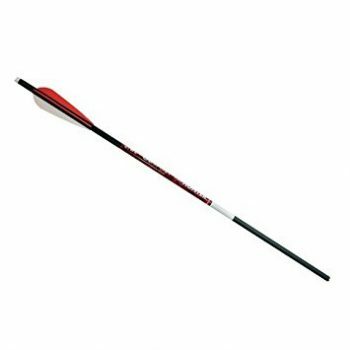 Description: These Black Eagle Outlaw Arrows are built using a high-quality carbon technology. That explains their ruggedness and ability to withstand many of the potential damages that come with hunting in the woods. In fact, the company description says they offer a mix of speed and kinetic energy, meaning they don’t necessarily value force over velocity. This balance is achieved thanks to the 10 grain Flo yellow nocks, the 14-grain outlaw inserts, and the 21 grains R2 vanes, apart from the carbon material used for the shaft. So you can successfully use these arrows both for hunting in the woods, as well as for target practice. But be careful not to shoot very big game with them or to accidentally target a rock or something, as that might damage them faster. You can rest assured they’ve been thoroughly tested; therefore they’re very reliable. When it comes to precision tolerances, for instance, these arrows offer consistency, and they’re often higher in practice than in the lab. Even the way Black Eagle matches the arrows in regards to their spine is very precise, as they used a technology called Grouped Together which doesn’t allow the maximum deviation past +/- 0.10. The shaft straightness is also accurately measured to .006″ or better. Related: The black eagle hunting arrows do not come with the arrowheads. Not that the company does not want to, but they realize the diverse nature of people’s interest and leave that at their discretion. Since the arrows are of different sizes, you can choose the arrowhead depending on your shaft diameter. The Hunting Door Screw-in Broadheads are easy to put in the insert and are sharp enough to deliver a deep cut. Specific features: Blood ring technology, 6 pack, half-moon knock, 0.300 inches I.D. Description: The BloodSport Archery Pro Hunter Arrows hunting bolts are great arrows that offer the same hole accuracy even at 30 yards. That makes them dependable and precise, helping you hunt large game without any problem. That’s because, at a total weight of 325 GPI and a length of about 20 inches, these arrows are fast and deliver a strong hit. Their 0.300 inches inner diameter also explains these two main features. So you can either use them with very fast crossbows to add extra speed to the mix, or you can use them with heavier draw weight crossbows of 180 lbs in order to add more force to the impact. Either way, their performance won’t disappoint provided you select the proper field point or broadhead weight. That’s how you can make the arrows complement the crossbow even better. But what’s really great about these arrows is their Blood ring, which will tell you exactly what sort of hit you did. That’s because it will show you the shot placement, as well as the proper waiting time before you begin tracking. Related: While drawing an arrow on the bow, you might experience some pain, especially if you are using a high weight drawing bow. To reduce the discomforts associated with using plain hands, you can buy a Damascus DWC Archery Shooting Glove that is made from 100% leather. It’s designed to fit three fingers of any hand and comes in four different sizes namely the small, medium, large, and x-large. It costs approximately $15. A successful hunt comprises of three dependent features: the arrow, the bow, and the user. If the hunter has excellent archery skills, then with proper arrows and a good bow, he/she is likely to hit the target. These desirable features as you have seen from the text above depend on the weight of the bow and the length of the arrow. If a heavy draw weight bow is used on a lightweight arrow, either of them has high probabilities of breaking. 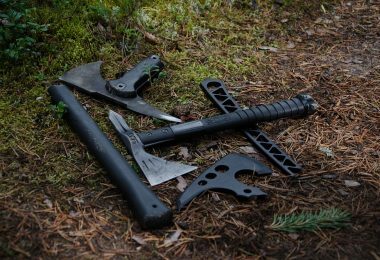 Thus, ensure your hunting tools fit well together regarding resistance and weight. Also, avoid using too long or short arrows as they pose a serious security threat. 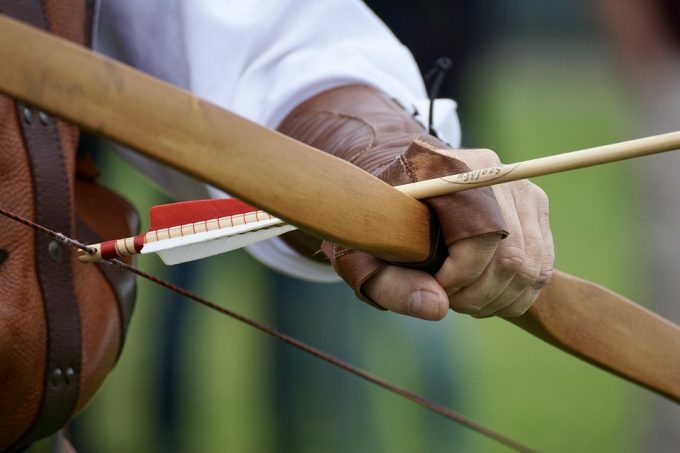 Always ensure that your arrow rests well on the bow at one inch when the bow is fully drawn. Having gone through all the information above, we believe your hunting experiences will be better. Isn’t hunting with proper tools enjoyable? Let us know your thoughts and experiences by leaving a comment in the comments section below.